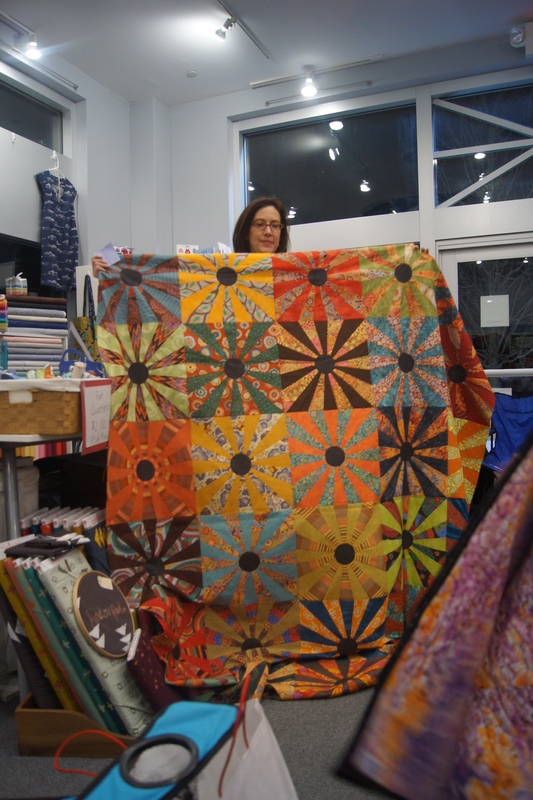 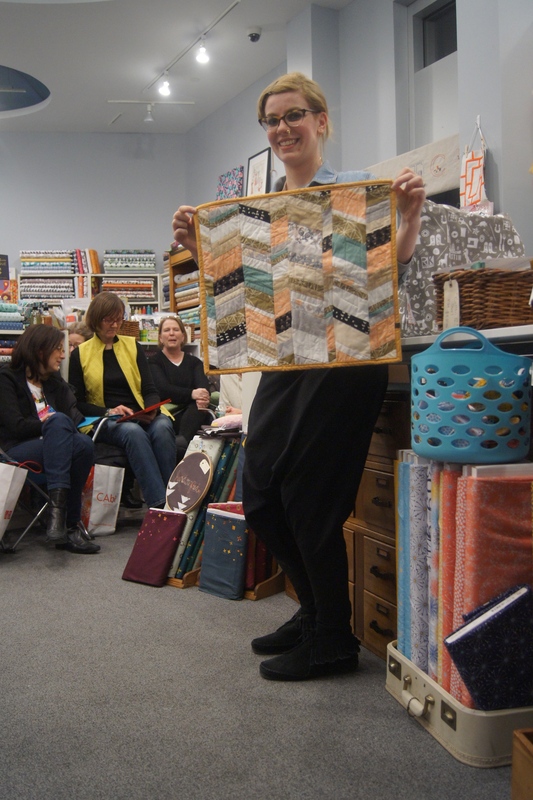 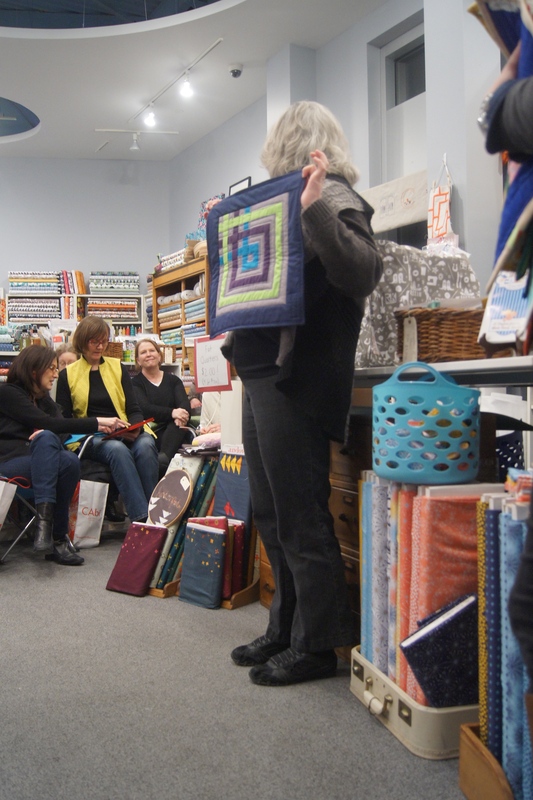 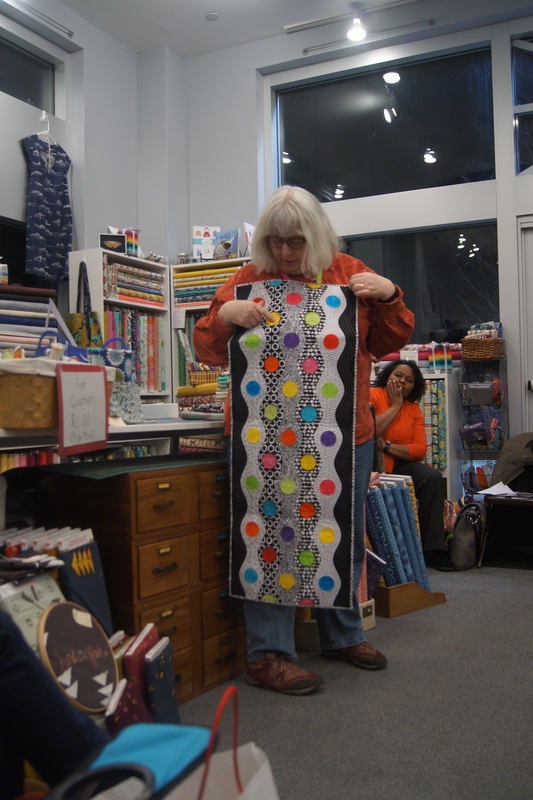 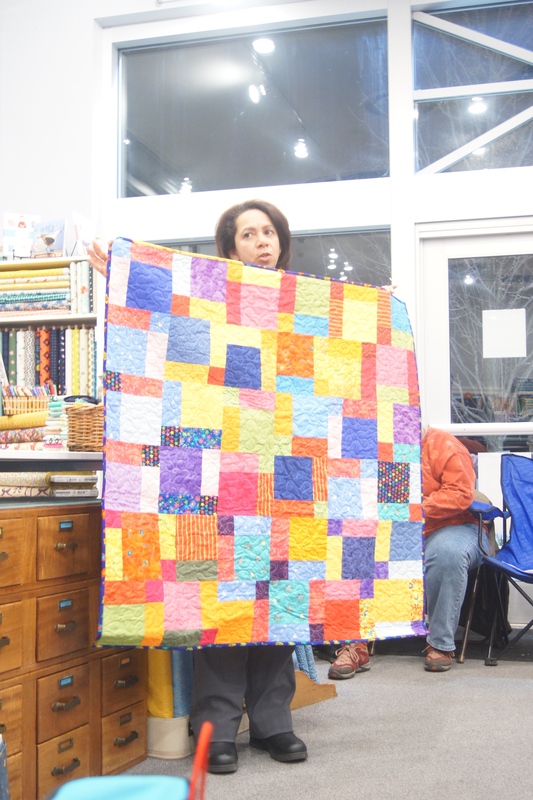 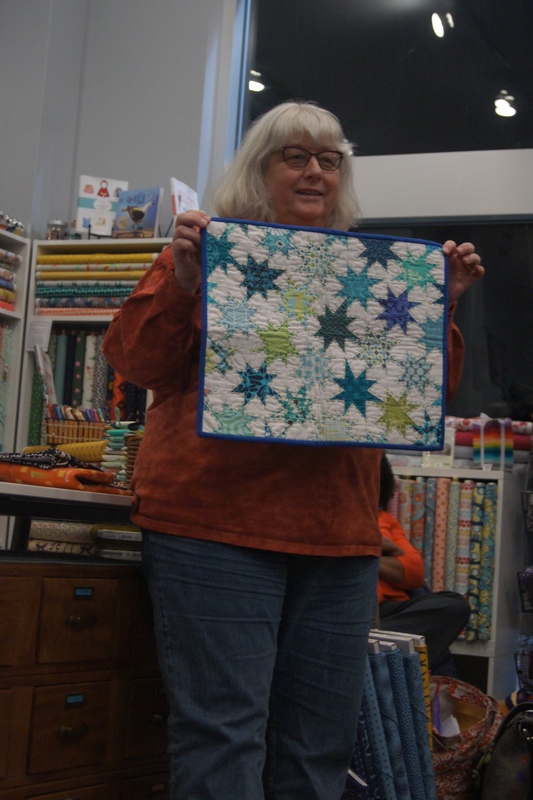 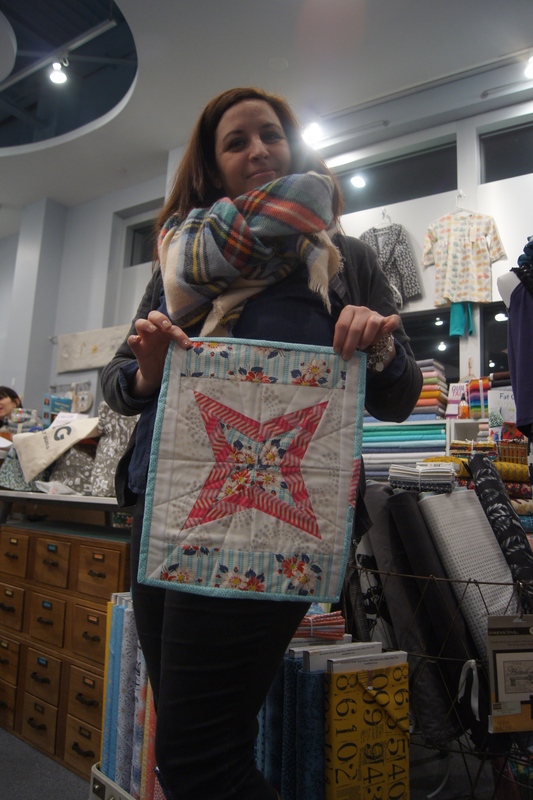 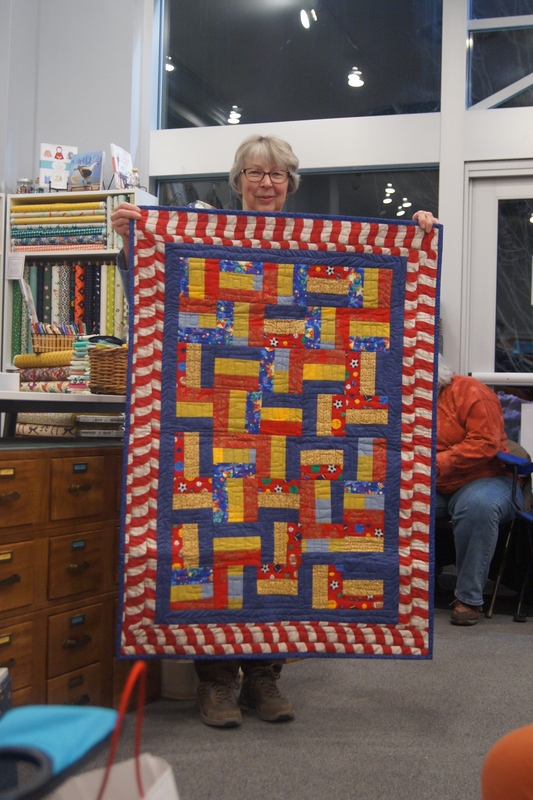 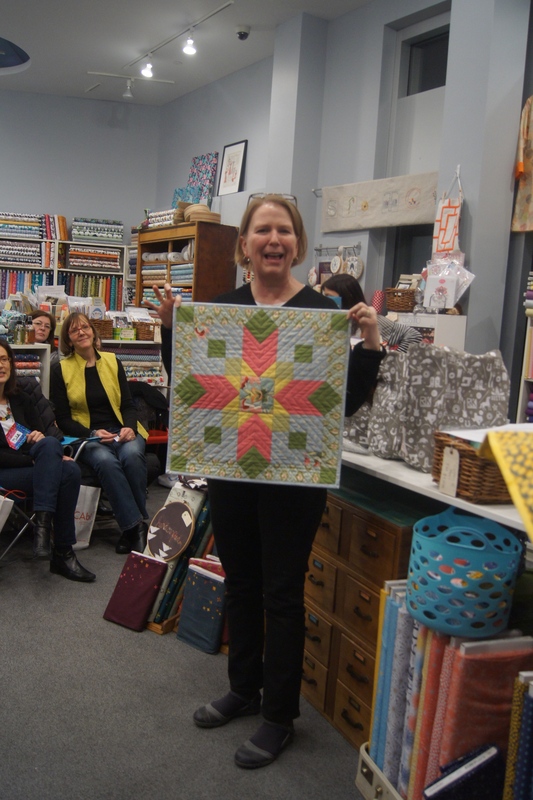 We had so many members participate in our very first mini quilt swap. 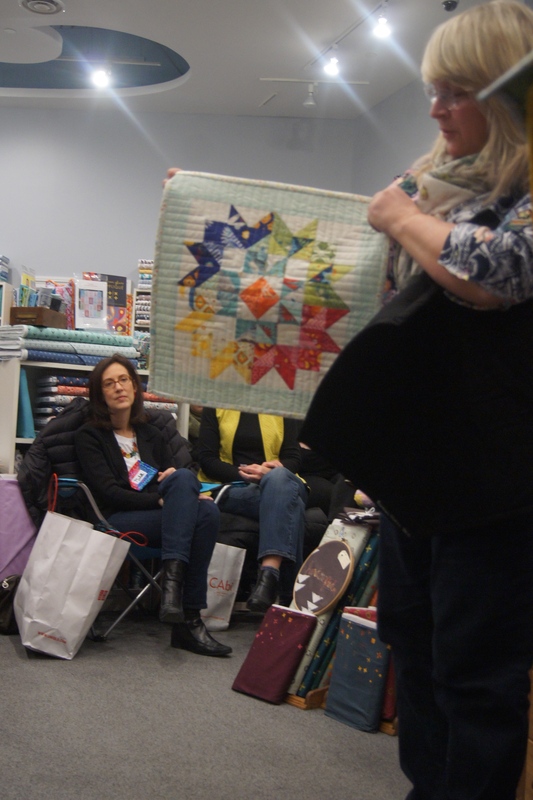 Everyone did a amazing job creating something special to swap. 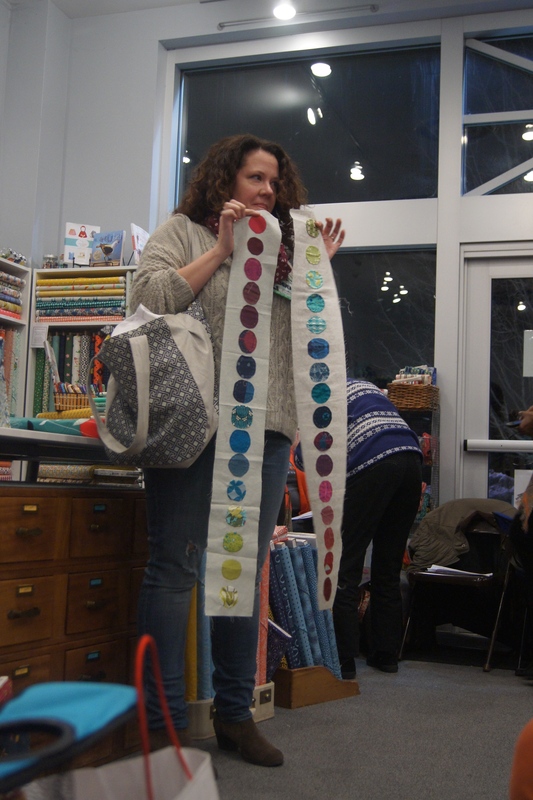 It was fun to see all of them. 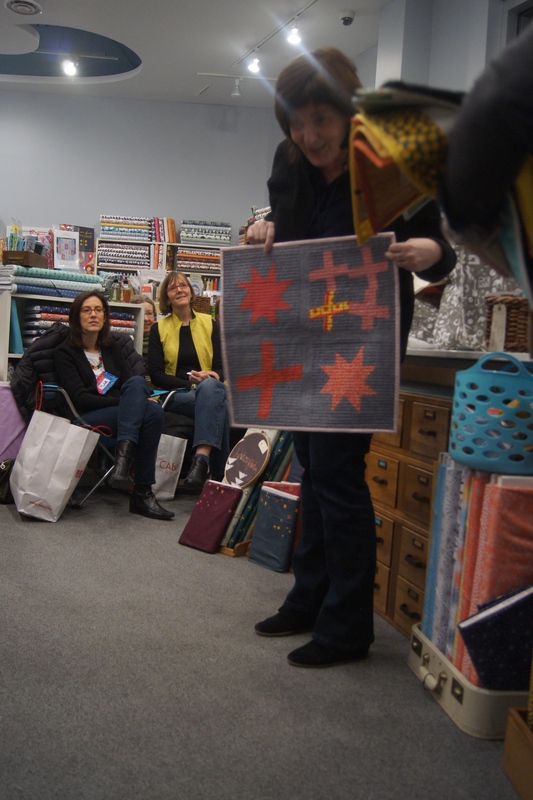 Thank you to all the members who took the time to tell us the experience that they had in Austin. 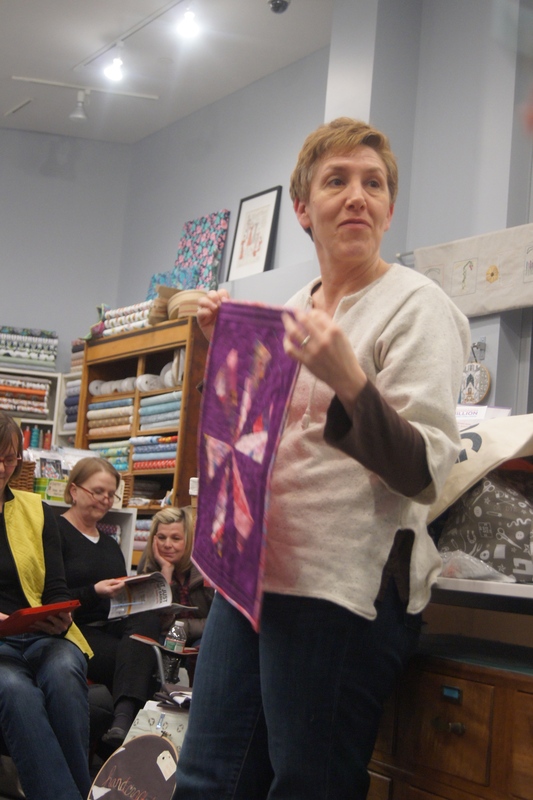 We loved hearing all the details. 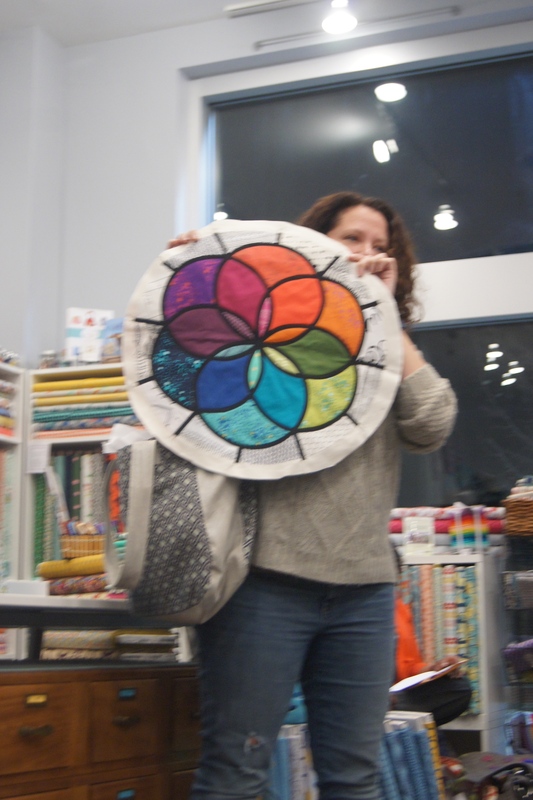 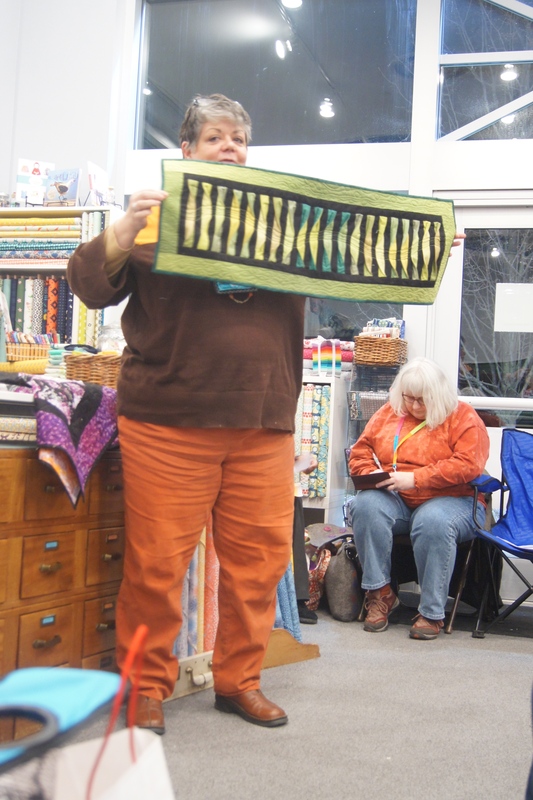 Aleeda also passed around a slide show on her iPad so we could see the lovely quilts from the show. 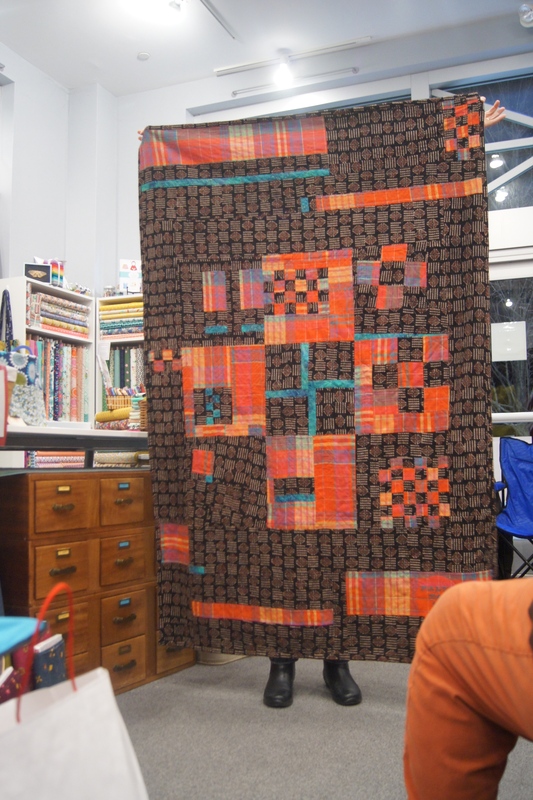 Thank you for that. 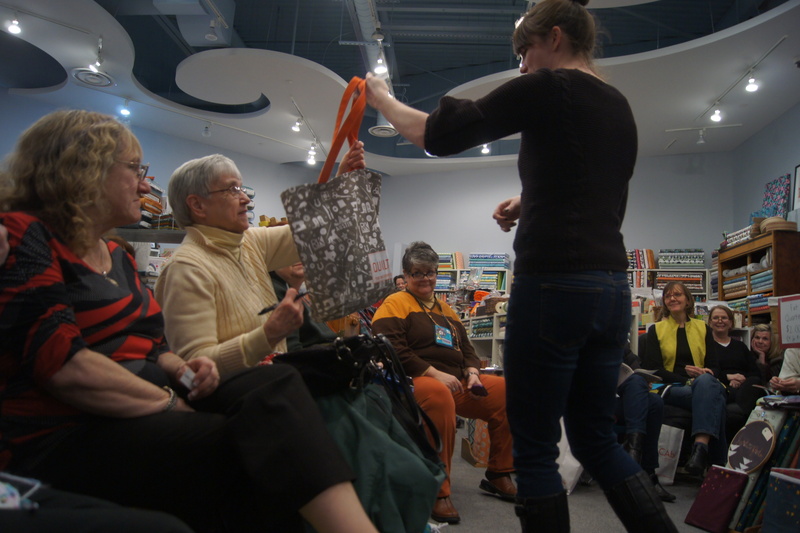 What fun that we had those generous swag bag and other giveaways! 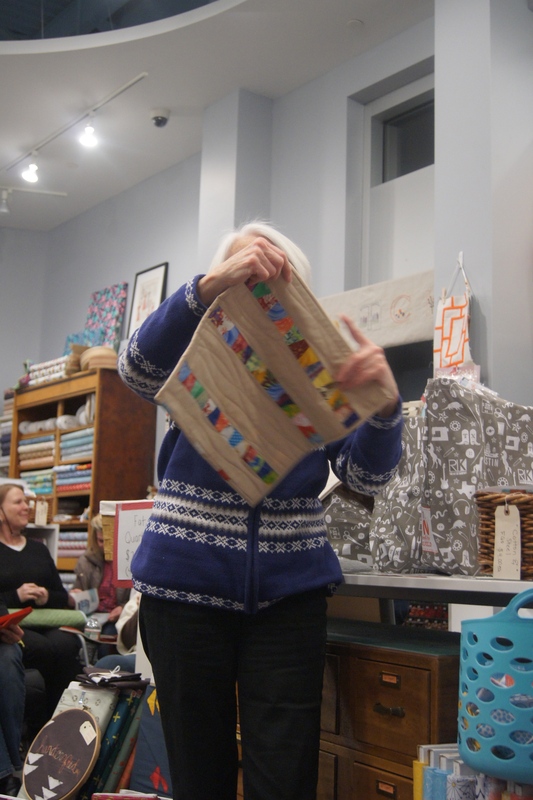 Congrats to all the winners. 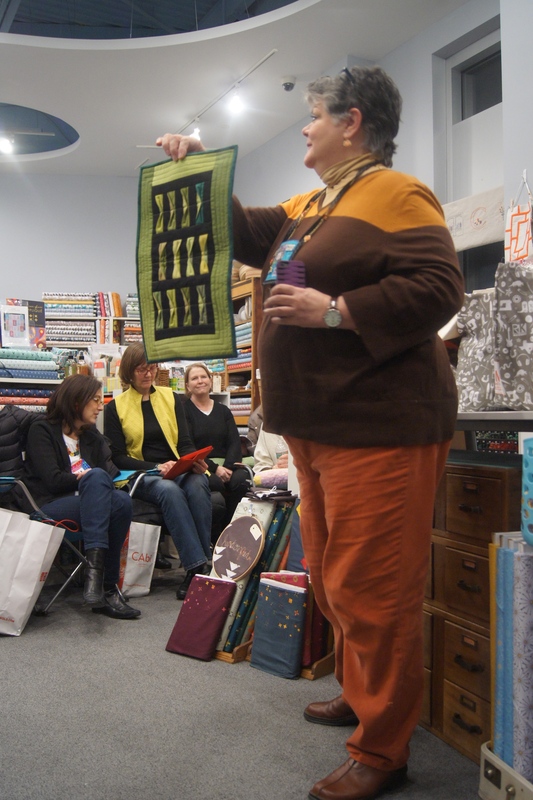 Announcements of important dates – Heather Jones Workshop will be on Monday. 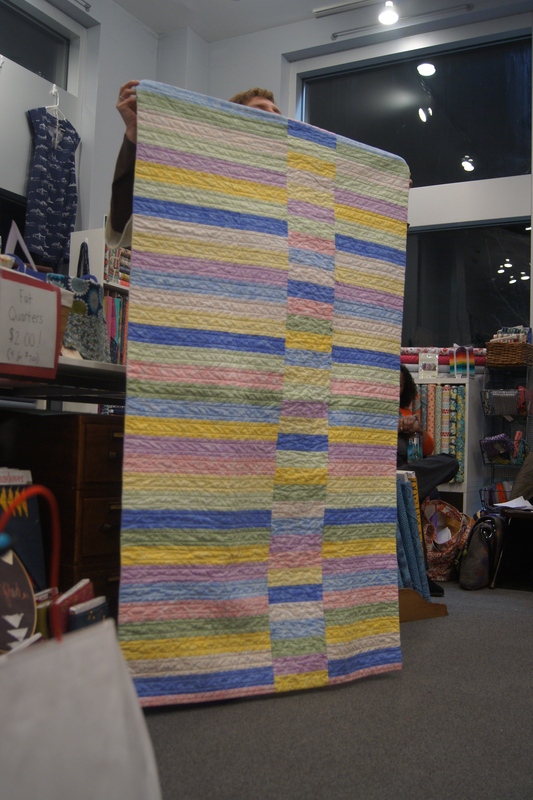 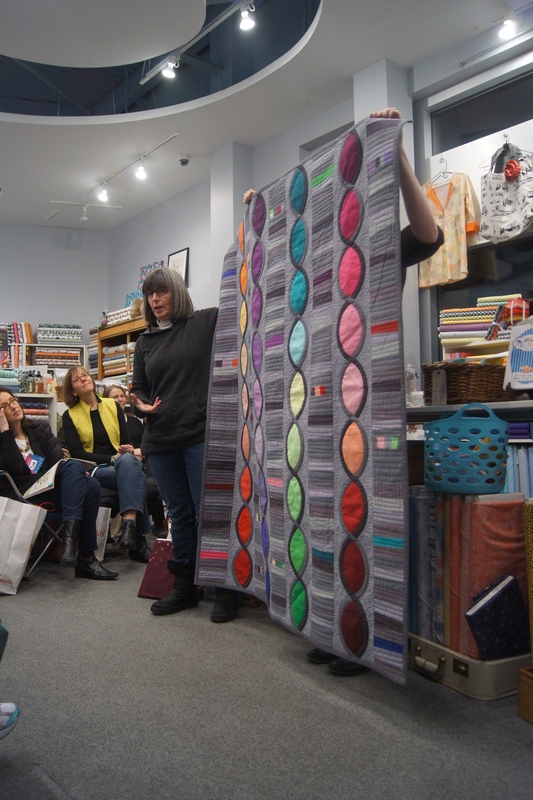 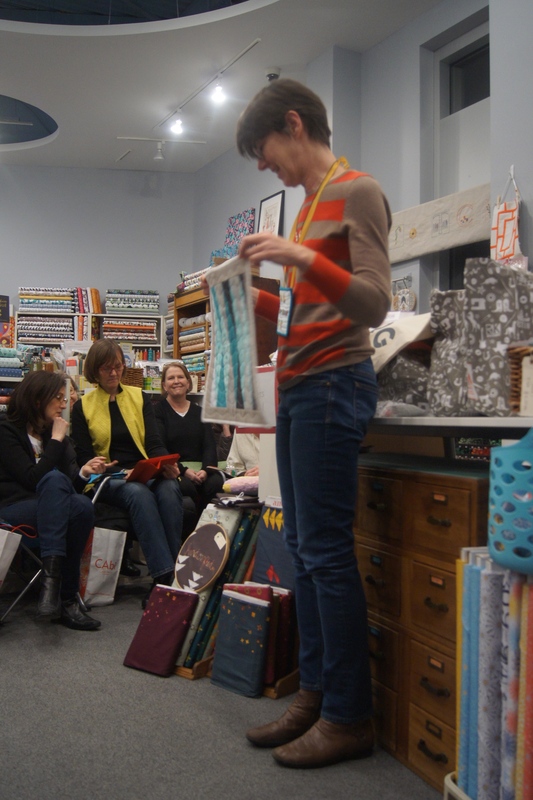 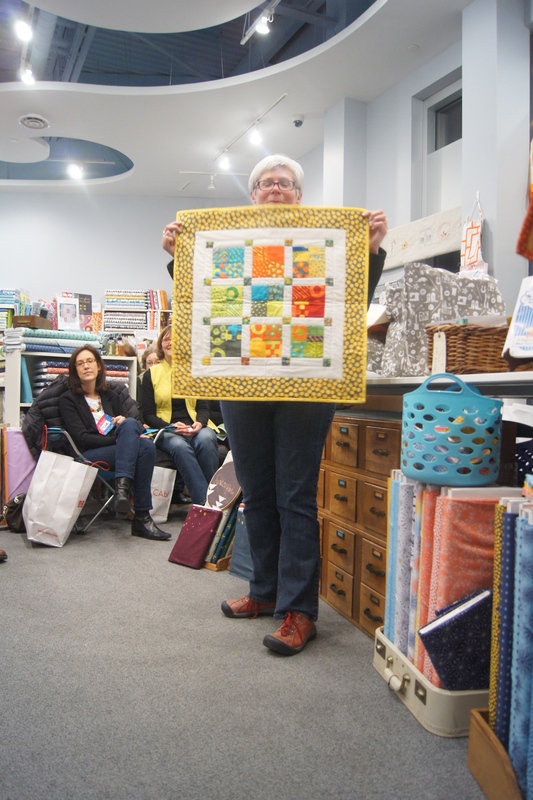 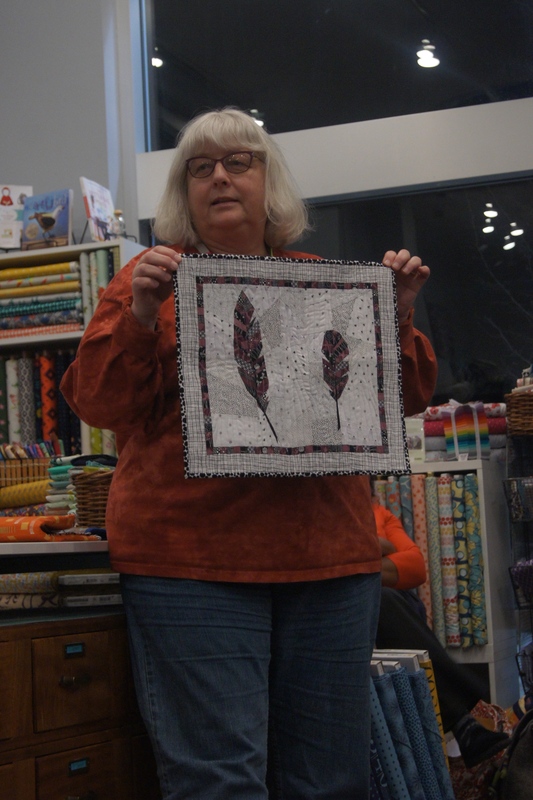 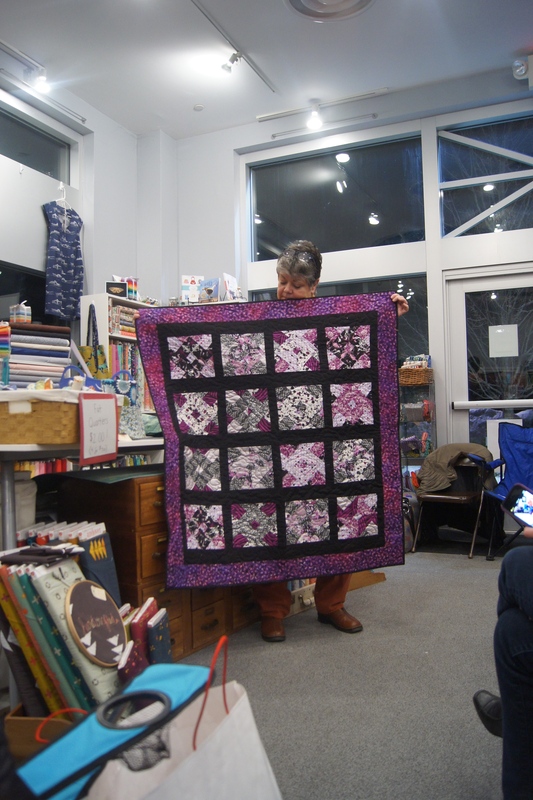 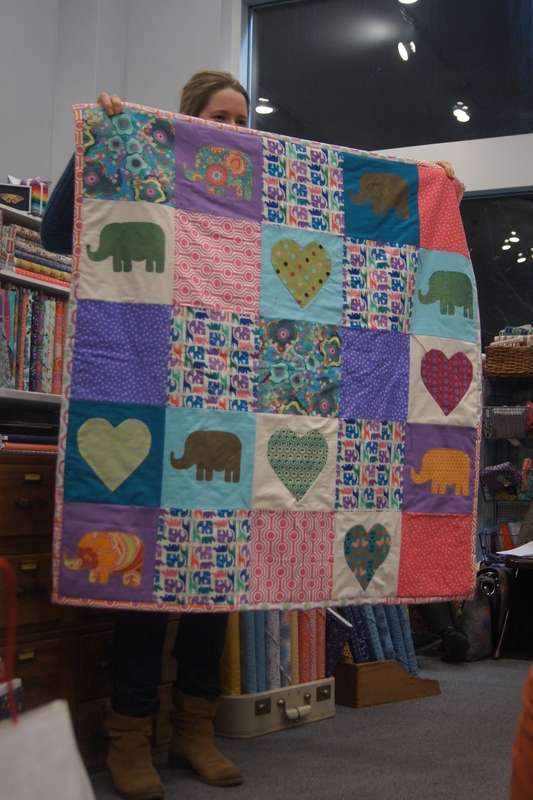 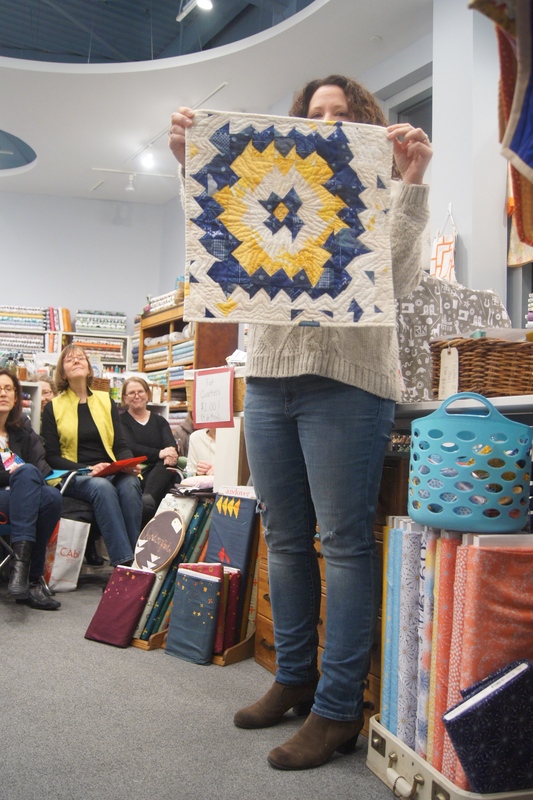 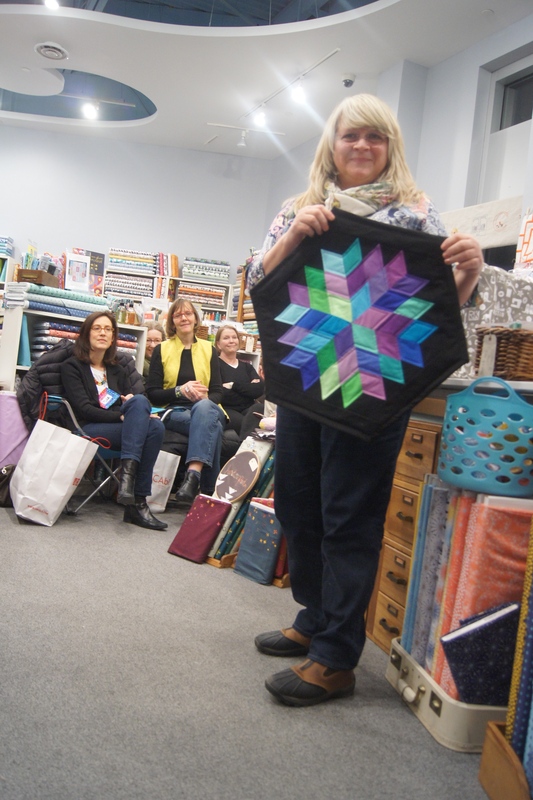 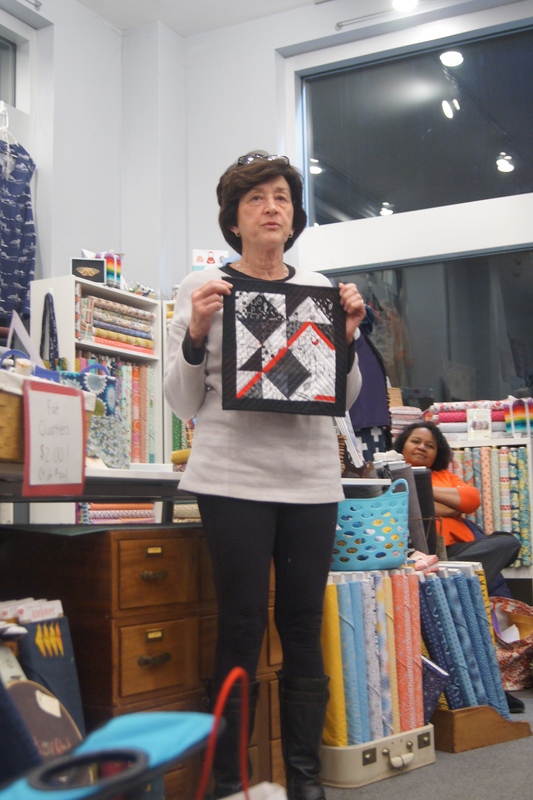 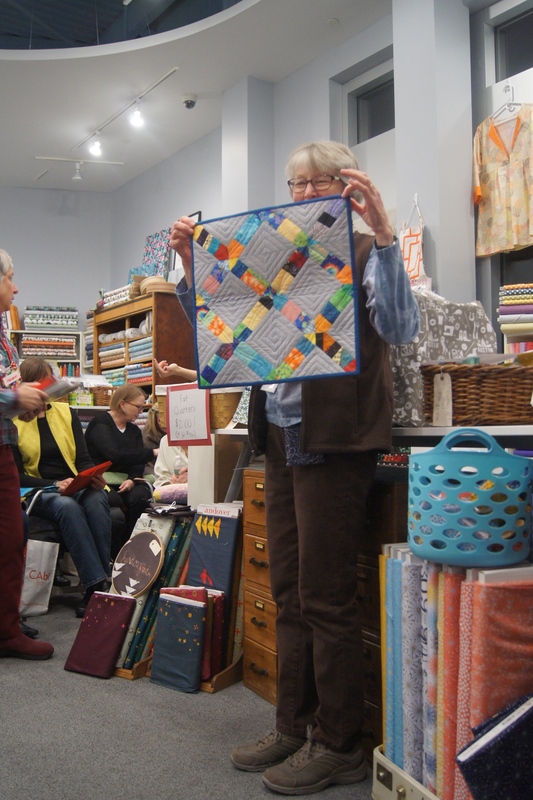 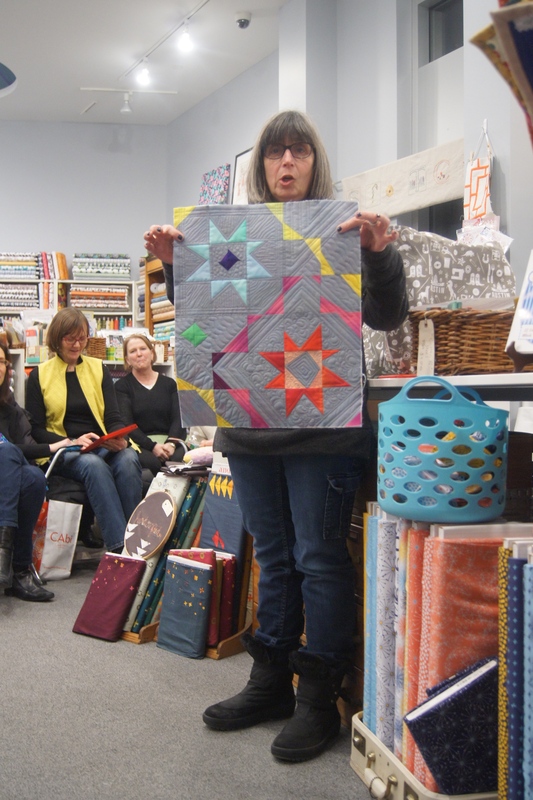 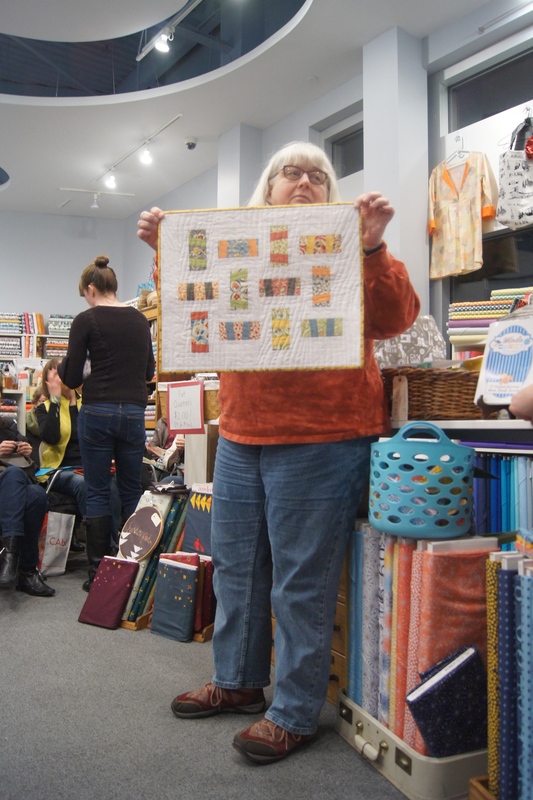 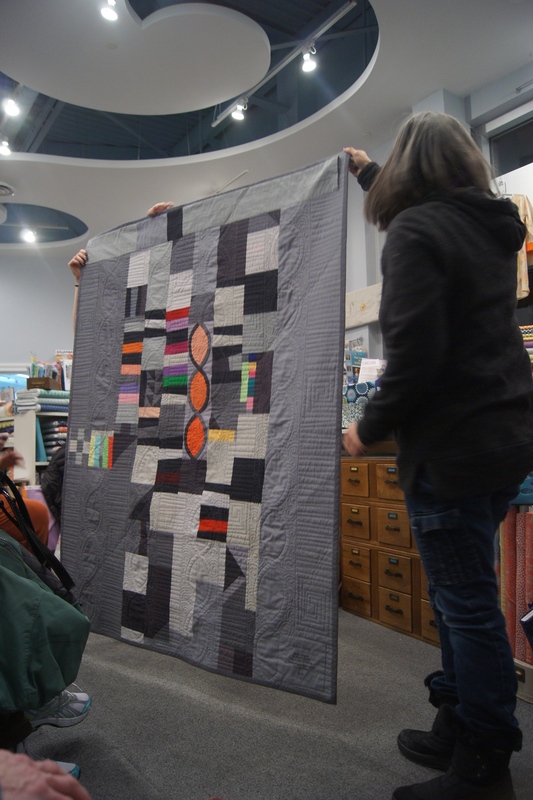 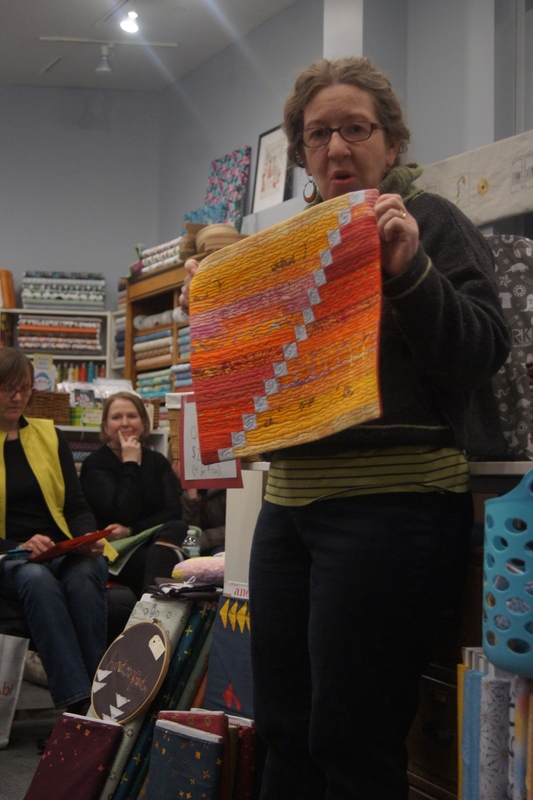 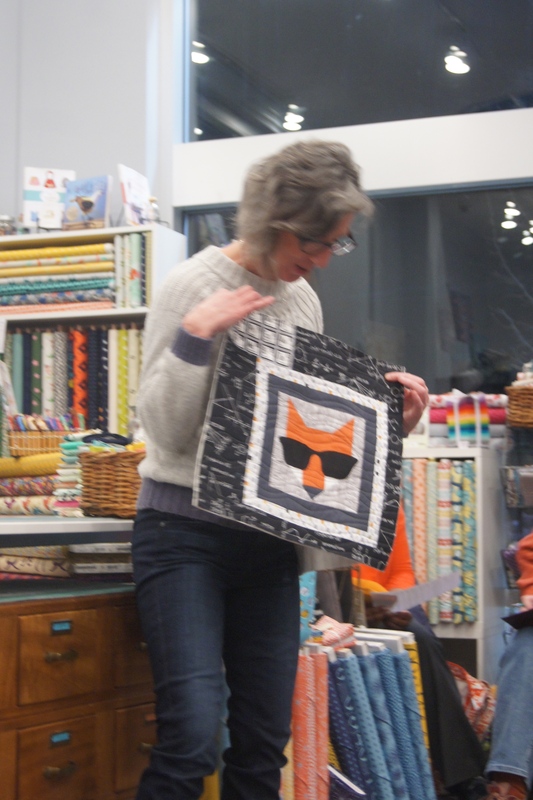 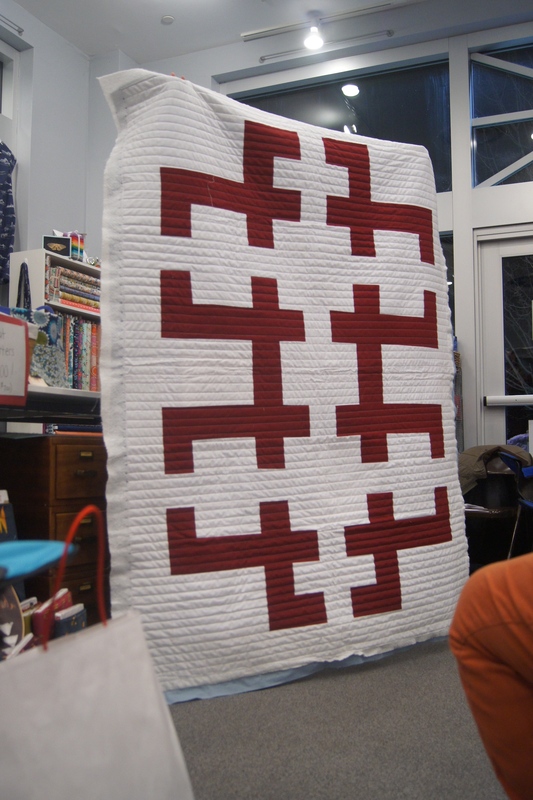 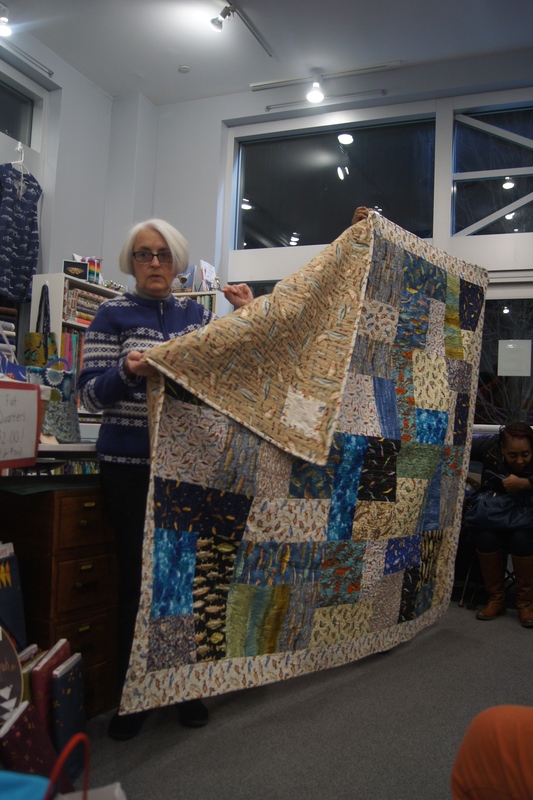 As always we had a wonderful time and thank you to all you incredibly talented and creative women for bringing in and sharing with us your quilts.